Bombardier and Austria’s ÖBB held a presentation event on day two of InnoTrans 2018 to unveil the new Talent 3 Cityjet EMU. The first completed train is currently on show in the Outdoor Display area at the international trade fair. 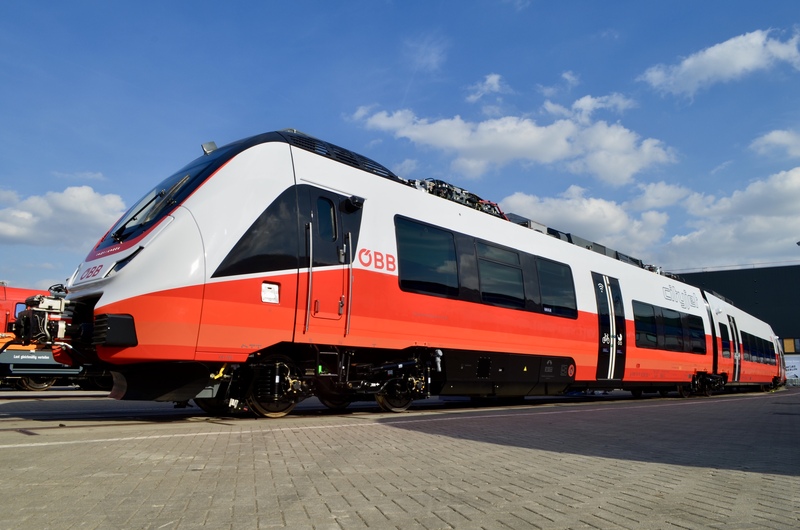 Vorarlberg in western Austria is set to receive 21 Cityjets in 2019 followed by Tyrol, which ordered 25 new trains in July this year. These are due to enter service in 2020. Bombardier said all the new trains will have unrestricted registration. 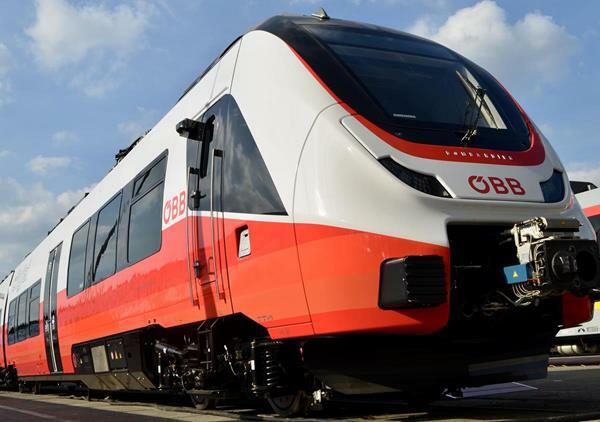 Six of the 25 trains for Tyrol will be able to operate cross-border services to South Tyrol, Italy, without changing trains at the Brenner Pass. Features include Wi-Fi, platform gap fillers and an “intelligent, high performance” air-conditioning system. The windows also have a special coating which helps improve mobile phone reception on board.